About us lets you know a little more about our science company that publishes this website. We are a family owned business that is located in the foothills of the Cascade Range in Oregon. Living near Mount Saint Helens during the 1980 eruption led to the formation of our company. Our company, Ring of Fire Science, creates and publishes units of study on Earth Science for students in PreK-12th grade. 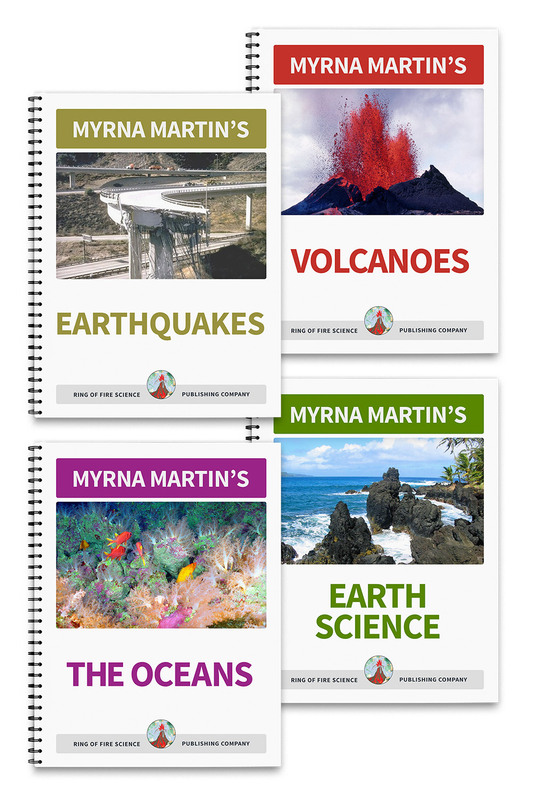 Myrna is the author of not only this website but a whole series of Earth science units of study. She has taught students from PreK through 12th grade. She taught eight grade students Earth Science full time for a number of years. 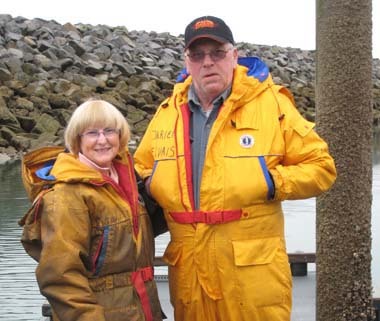 After retiring her husband and son helped her start the family business in 1998. She became interested in writing Earth Science materials when Mount Saint Helens began to erupt in the spring of 1980. It was the teachable moment. She taught about the mountain using newspaper articles, television news, and going to watch the eruptions with her sons prior to the May 18, 1980 eruption. 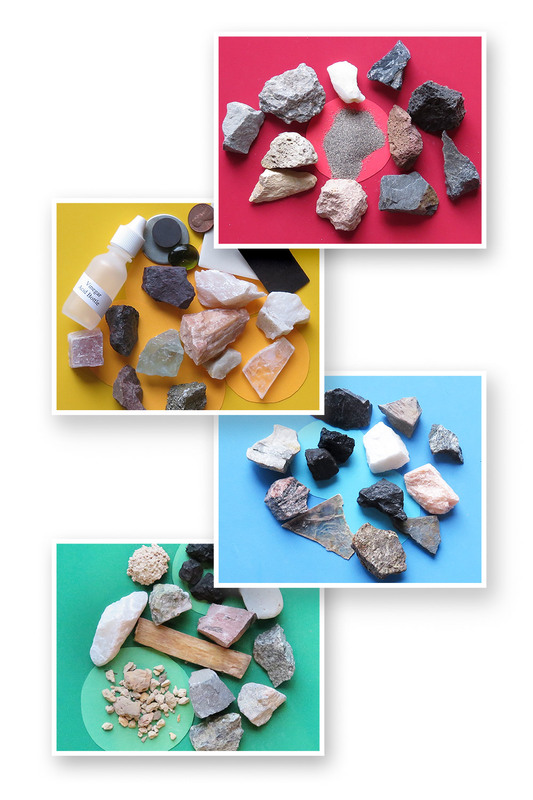 The company began with just one book on igneous rock identification. Today the company publishes complete units of study for Earth science. Myrna introduces each lesson in her videos. Tom helps with all the at home work including breaking all their rocks and binding all the books for the company. Their son Brett helps create the videos and attend conventions when he is not in the field with his engineering company. Ring of Fire Science has three levels of science materials for elementary, middle and high school students. Charter schools and public schools can purchase these materials for individual teachers or obtain site licences for entire classrooms. Teacher's manuals are available for all Level 1 and Level 2 textbooks. The science activity books are designed for students of all ages that would like to learn more about science. Short lessons for PreK-2nd grade students are included with each activity. Level 1 units of study can be used by students in multiple grade levels. Homeschooling parents that are teaching several children in multiple grade levels often purchase these material for their family. Level 2 has sixteen lessons, quizzes and hands-on activities in each textbook. These units are designed for middle school and high school students. The American Federation of Mineralogical Societies Junior Chairman wrote an article for the A.F.M.S. 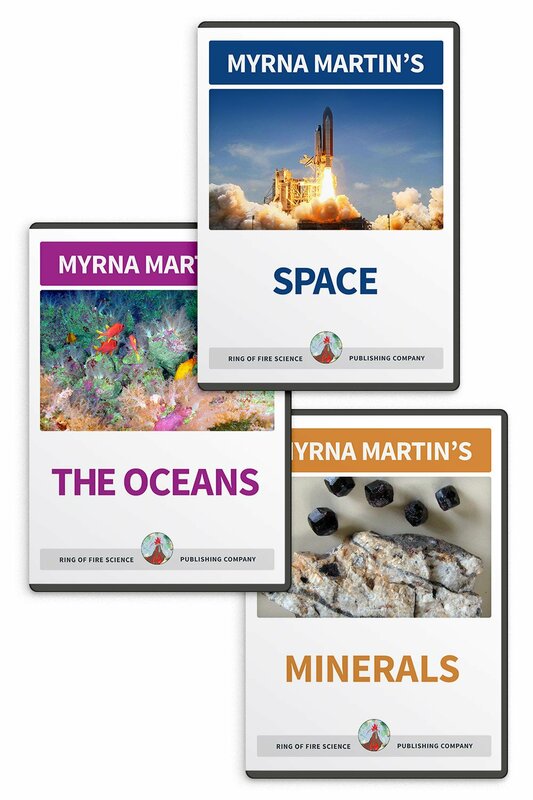 October 2012 Newsletter about Myrna and her activity based science books. He urged all members to check out her materials because of the wealth of information for junior members of the society. Myrna was named the 2007 Professional of the Year for Science Textbook Publishing Industry. She was also named one of the top 101 Industry Experts in 2010 by Cambridge who's Who. More Charlotte Mason Education by Catherine Levison recommends our science materials for homeschooling families. About US Find out about us and our company that publishes this website.